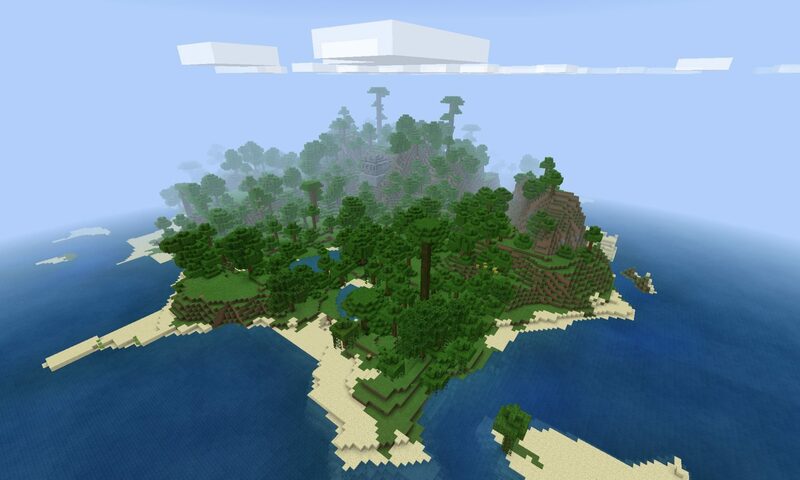 Minecraft PE Island Seeds for Minecraft PE/Minecraft Bedrock Edition. These seeds have an island at or near the game spawn point. View all Minecraft Seeds or all Minecraft PE Seeds. 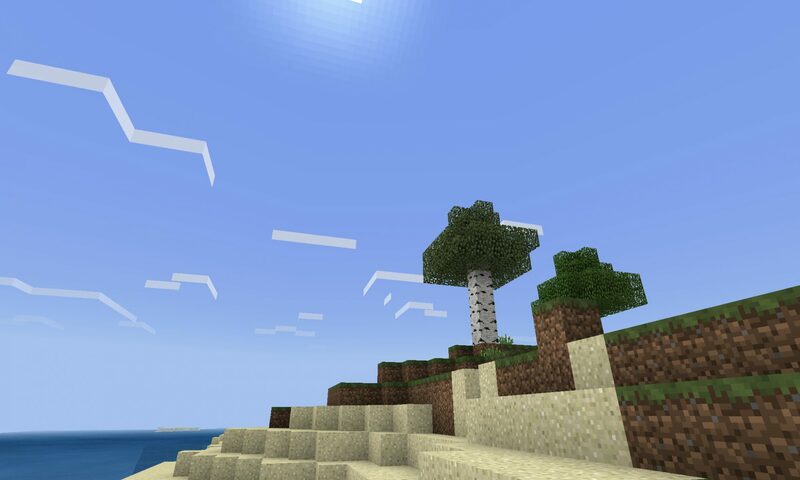 This is as close as you get to a one tree survival island: a two tree survival island! One oak tree and one birch tree and deep ocean. For Minecraft PE/Bedrock Edition. Village seeds are cool. Island seeds are cool. What’s better? 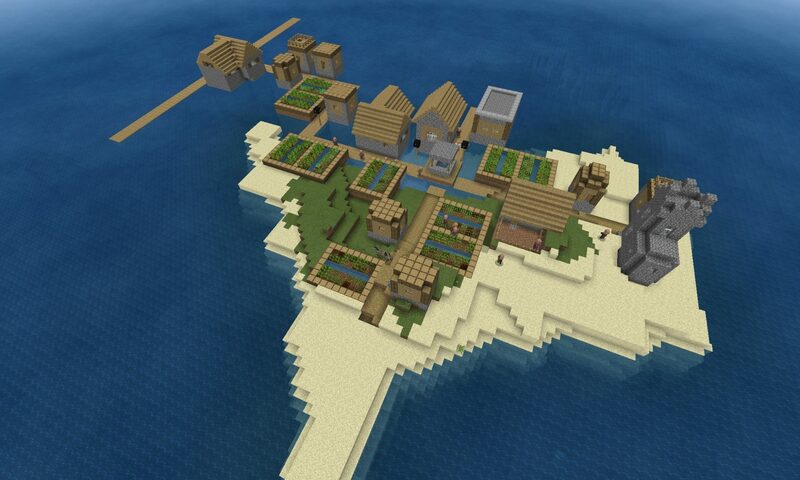 How about a Minecraft PE Seed (Bedrock Seed) with a village that takes up the majority of the island and then some. 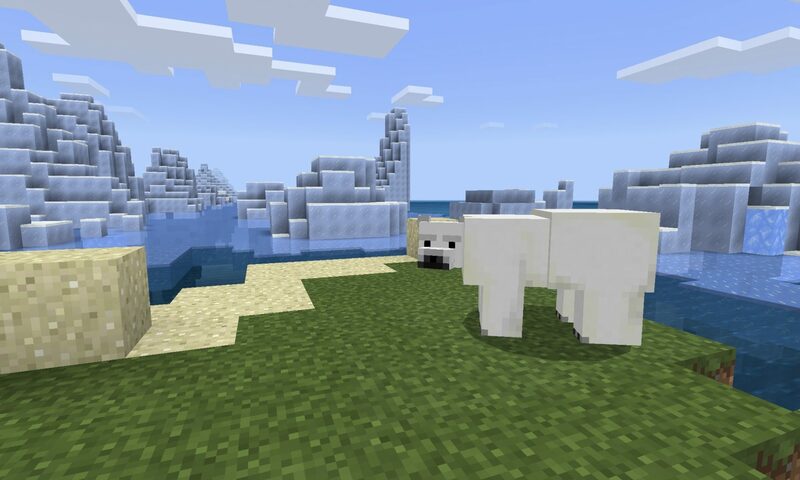 Spawn on an island surrounded by icebergs in this Minecraft PE Seed. You’ve got turtles and polar beaars for company, too. A Minecraft PE/Bedrock seed.